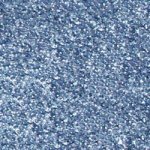 The glitter in distress stickles is not a metallic glitter like the original stickles, it has a timeless sparkle of vintage glass glitter without the glass! Let your art "pop" with acid free, non-settling Stickles glitter glue! Easily write, dot, dash, draw and embellish on paper and rubber stamping projects, candles, memory album covers and more! Available in .5 oz. fine point applicator tip bottles.